By Porter Christensen. Porter Christensen is a high school senior from St. George, UT, who loves the art of storytelling and film making because it allows him to share what he’s passionate about. Following a host of submissions, GMO Answers awarded Porter Christensen the first place prize for his entry demonstrating how genetically modified, nutritionally-enriched white corn may help solve widespread vitamin A deficiency in East Africa. 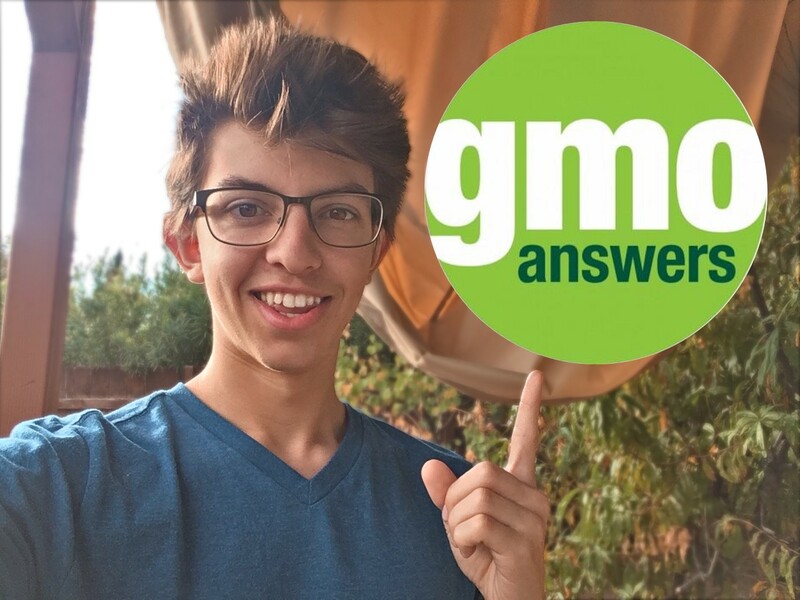 GMO Answers spoke with Christensen about his submission and what inspired his innovative biotech solution for this global food challenge. Tell us about yourself. Why did you decide to enter the GMO Innovation Contest? I originally saw the GMO Innovation Contest online and immediately thought of my brother. My brother spent two years in Uganda, where malnutrition and starvation is rather common. I knew that he would know a lot about food challenges, so he and I worked together to come up with ideas to enter the contest. His knowledge of how GMOs would benefit Uganda is what inspired us to enter. Why did you select the food challenge included in your submission? We selected to focus on white corn, which is also known as maize in Uganda. We chose this because it is one of the main sources of food in East Africa, making it a great food choice to target. By altering something that everyone in Uganda consumes, we could have quite an impact! After deciding that white corn is the food source that we should focus on, we began to do research. We found the differences between yellow corn and white corn, and also found causes of malnutrition in Africa. Vitamin A deficiency is a huge problem there, which is precisely what white corn lacks. Through the use of the almighty Google, something we all have access to, we were able to come up with the idea of adding vitamin A into this current food source. Are there any other current/future applications of biotechnology that you think can be most beneficial? This use of biotechnology is the only plausible one we have come up with as of now. However, as everyone continues to do research and find problems, the world will find solutions. Biotechnology is something that will always continue to progress, moving with our constantly changing world. Why do you think it’s important for us to talk about biotechnology? With the growth of the global population and introduction of new diseases, it is so important to talk about biotechnology. Nutritional deficiencies and other health problems will continue, but the more we apply biotechnology, the smaller the problems become. It is also extremely important to increase our food production to meet the demand of our growing population. This is why we must address biotechnology and the benefits it provides.